The FBI has concluded its investigation of the Las Vegas mass shooting, the deadliest of its kind in modern US history. An FBI Behavioural Analysis Unit did not find a “single or clear motivating factor” for gunman Stephen Paddock’s actions, but concluded he was in financial trouble and had difficulty coping with his age. But before the agency announced its findings on Tuesday, the massacre unfolded as most of them do – in a storm of chaos and confusion. 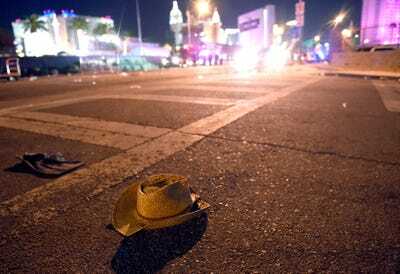 58 people were killed and more than 850 injured when a gunman opened fire at a country music festival on the Las Vegas Strip on October 1, 2017. 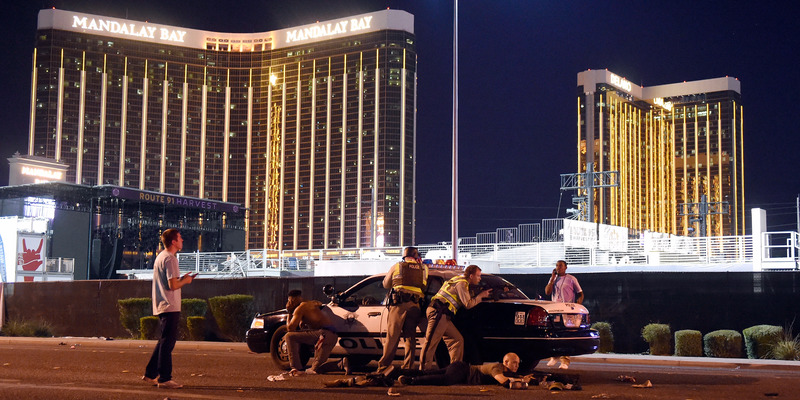 By the time the general public knew a shooting was underway, the gunman, 64-year-old Stephen Paddock, was already dead. 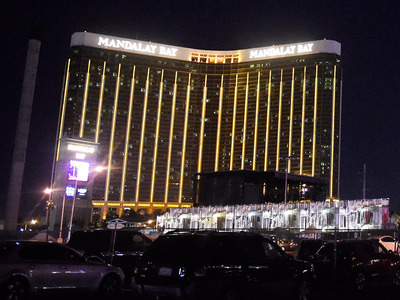 Despite an extensive investigation lasting well over a year, authorities ended their efforts without being able to determine Paddock’s specific motive. September 25, 2017: Stephen Paddock checks into the Mandalay Bay Resort and Casino on the south end of the Las Vegas Strip. Getty Images.The Mandalay Bay Resort and Casino in Las Vegas, shortly after the shooting. Police originally said he checked in on Thursday September 28, but later updated the date to Monday 25, three days before. 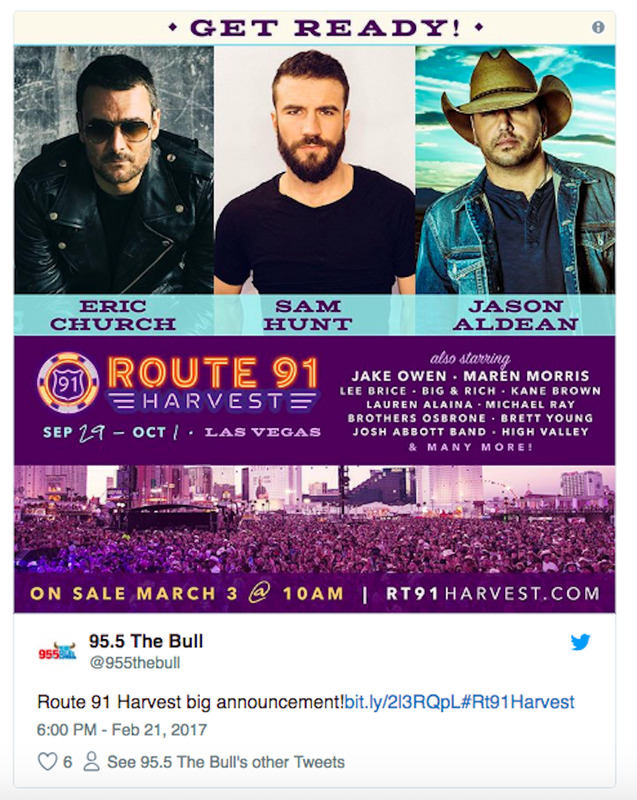 October 1, 9:40 p.m.: Route 91 Harvest festival begins its closing act. Las Vegas radio station 95.5 The Bull shared the line-up on Twitter before the event. Aldean escaped unharmed and later paid tribute to his fans who were hurt and killed. 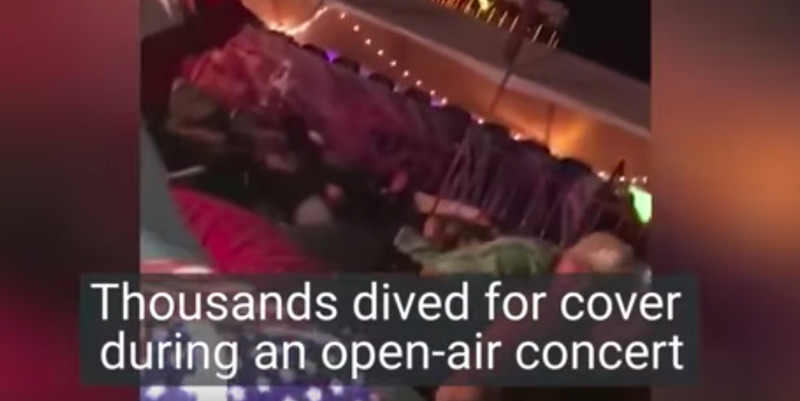 The shooting began with a hail of bullets on the crowd below, fired from Paddock’s hotel room. Using multiple rifles, Paddock opened fired on the crowd of 22,000 people below him, from a distance where he would have had no ability to distinguish individual targets. Officers started to exchange radio messages about the shooting. Las Vegas police say that Paddock fired “a dozen or so volleys” overall during the shooting. Watch footage from the scene here. 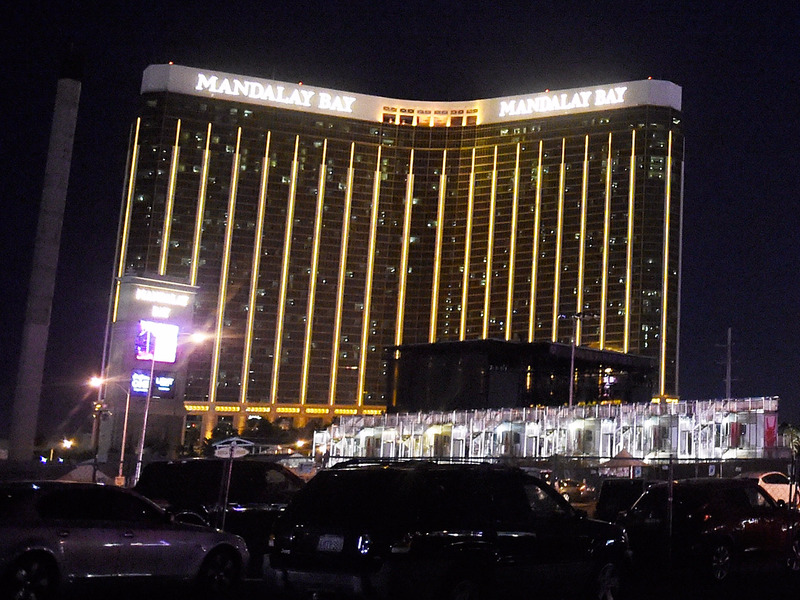 10:06 p.m.: Paddock shoots a security guard inside the Mandalay Bay. Very soon after, Paddock turned his fire inside the building, and hit, but an employee just outside his hotel door. In its final report into the shooting, the LVMPD said that security guard Jesus Campos was shot in the leg at 10.06 p.m. on the 32nd floor of the Mandalay Bay. Campos was investigating an open door – not the door to Paddock’s room – when he was hit in the leg. He alerted hotel security and stayed on the floor until police arrived. Seven minutes after the first shooting, they had made their way to the 31st floor, according to an official police timeline, and knew the shooter was one floor above them. 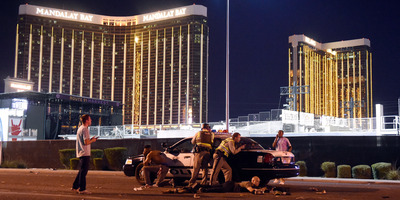 Getty ImagesPolice officers taking cover behind a patrol car that was in the line of fire from Stephen Paddock’s 32nd-floor room in Mandalay Bay. Police say that Paddock kept firing for “nine to 11 minutes.” In a press conference in the days after the attack, a police spokesman gave a final time for the end of the attack as 10:15 p.m.
One of the earliest records of the shooting is a tweet from the user @GLOKMIN. 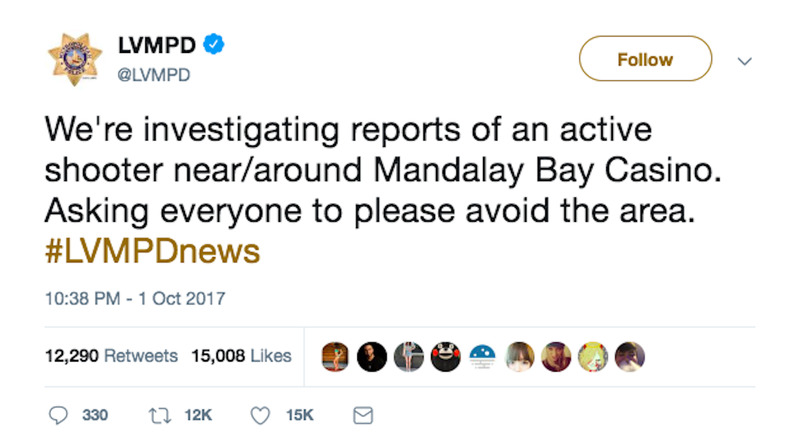 “i’m pretty sure a terrorist attack just happened next to me im at mandalay bay,” they wrote. The LVMPD timeline says that two of its officers were on the 32nd floor by 10:17 p.m., 12 minutes after the attack began. They found Campos, the wounded security guard, who told them which room is Paddock’s. They were soon joined by eight more officers, and spent some of the following 15 minutes systematically searching the floor’s other rooms and evacuating guests. Getty ImagesHeavily armed police officers near Mandalay Bay. Again citing police radio, The New York Times said officers were right outside Paddock’s hotel room at 10:24 p.m., 19 minutes after the shooting began. 10:25 p.m.: The police issue an active-shooter alert locally. They thought there could be as many as 3 gunmen. 10:38 p.m.: The police publicly confirm an active shooter. 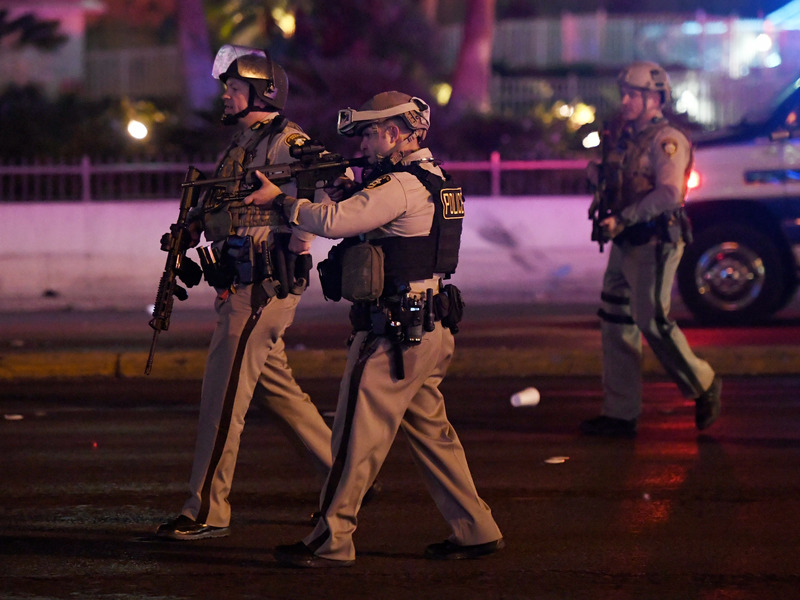 Almost 40 minutes after the attack began, the Las Vegas Metropolitan Police Department wrote on Twitter that it was investigating an ongoing shooting. 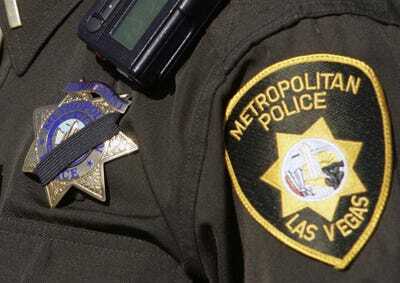 Las Vegas Metropolitan Police Department Undersheriff Kevin C. McMahill defended that decision in a press conference. He said officers were right to wait because Paddock was “contained” and had stopped firing out of the window. 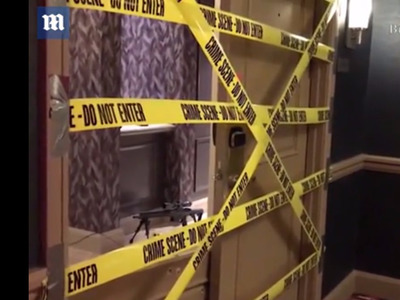 Daily MailFootage published by the Daily Mail news site showing the inside of Stephen Paddock’s Mandalay Bay suite after the shooting was over. One hour and five minutes after the first shots were fired, a police SWAT unit detonated an explosive device to break down Paddock’s door, according to the police timeline. “The Strike Team reported Paddock was down from an apparent self-inflicted gunshot wound to the head,” the final report said. 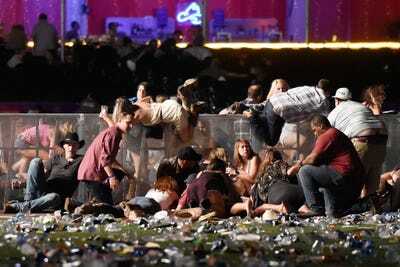 They used a second explosive charge to burst it open, at which point they could see the entire suite and were certain that Paddock had been alone. 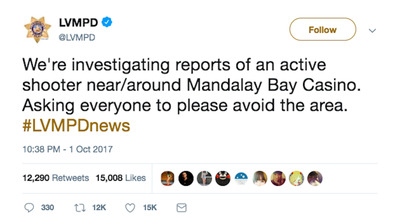 Two minutes before midnight, and almost two hours after the first shots were fired, the Las Vegas police tweeted confirmation that “one suspect is down”. October 2, 2017 12:31 a.m.: Incident declared over. The final death toll was 58. More than 800 people were injured. August 3, 2018: Police release their final report on their investigation. Police concluded their investigation ten months after the shooting, and said they could not determine the motivation behind it. Paddock did not leave a suicide note, the investigation concluded. There was no evidence he belonged to any terrorist organisations or hate groups, and he did not have a criminal record. Police determined that he acted alone. Investigators followed 2,000 leads, watched 22,000 hours of video, and examined 252,000 images. The FBI released its own findings about the shooting after a lengthy investigation. An FBI Behavioural Analysis Unit did not find a “single or clear motivating factor” for Stephen Paddock’s actions, but concluded he was in financial trouble and had difficulty coping with his age. “As he grew older, Paddock became increasingly distressed and intolerant of stimuli while simultaneously failing to navigate common life stressors affiliated with ageing,” the FBI’s report said.